ROCHESTER, MN; September 10, 2013—Talking to someone about suicide will increase the chances that they will act on it—true or false? False. The truth: When someone is in crisis or depressed, asking if he or she is thinking about suicide can help. Giving a person an opportunity to open up and share their troubles can help alleviate their pain and open a path to solutions. This is just one of many suicide prevention myths to debunk as we approach World Suicide Prevention Day on Sept. 10. Suicide is a growing public health crisis. There were more than 38,000 suicides in 2010 in the United States, an average of 105 each day, according to the Center for Disease Control and Prevention. There is one suicide for every 25 attempted suicides, and suicide results in an estimated $34.6 billion in combined medical and work-loss costs. "If we know anything about suicide, it's that many suicides are preventable if we can get people through a crisis and intervene," says Timothy Lineberry, M.D., a Mayo Clinic psychiatrist and suicide prevention expert. "There are many steps we can take to tackle this public health crisis and debunking myths is certainly one of them. "One of the most common myths about suicide is that talking about it won't help," says Robert Gebbia, executive director, American Foundation for Suicide Prevention. "We know that starting a conversation about depression or suicidal thoughts can actually encourage someone to open up and get the help they need." Myth: Suicide can't be prevented. Fact: Suicide is preventable. The majority of people contemplating suicide don't really want to die. They are seeking an end to intense mental and/or physical pain. Most have a treatable mental illness. Interventions can save lives. Myth: People who take their own life are selfish, cowards or weak. Fact: More than 90 percent of people who take their life have at least one treatable mental illnesses such as depression, anxiety, bipolar disorder, schizophrenia and/or alcohol and substance abuse. Myth: Teenagers and college students are the most at risk for suicide. Fact: The suicide rate for this age group is below the national average. Suicide risk increases with age. Currently, the age group with the highest suicide rate in the U.S is men and women between the ages of 45-64. Though particular groups may be at higher risk, suicide is a problem among all ages and groups. Myth: Barriers on bridges, safe firearm storage and other actions to reduce access to lethal methods of suicide don't work. Fact: Limiting access to lethal methods of suicide is one of the best strategies for suicide prevention. Many suicides can be impulsive and sparked by an immediate crisis. Separating someone in crisis from a lethal method can give them something they desperately need — time. 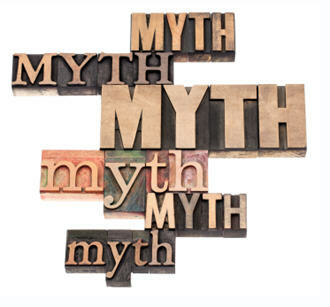 Myth: Talk therapy and medications don't work. Fact: Treatment can work. One of the best ways to prevent suicide is by getting treatment for mental illnesses such as depression, bipolar illness and/or substance abuse and learning ways to cope with problems. Finding the best treatment can take some time, and the right treatment can greatly reduce risk of suicide. Press materials provided by the Mayo Clinic News Bureau.